Even for the experienced traveller there is no better way to get to know a new country than to take a few guided tours. 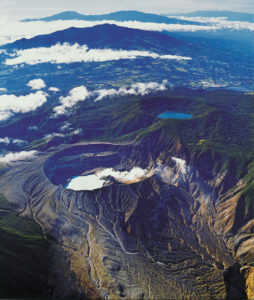 Adventure Inn is centrally located in the heart of Costa Rica tour country. Unlike small copycat tours servicing tourists in the beach areas, our tours are the originals, the big ones, enjoyed and remembered for a lifetime. As the tour industry changes and adapts, and tour companies come and go, we stay abreast of these changes probably more than any other Costa Rican hotel. We have taken most of the tours ourselves, and love receiving feedback from our guest’s experiences. 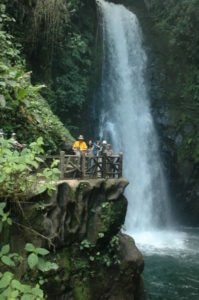 Without well-informed competition from other hotels, we still want to improve our services so that your tour experiences will always be the safest, most informative, exhilarating and enjoyable tours on the Costa Rican market. We guarantee the lowest prices, and do not work with tour companies that undercut us if you go direct. We have over forty exciting tours leaving from our front door every day of the year. However some restrictions apply including the tour is already full, or a minimum number of participants is required to make it profitable for the tour operator. Sit back, take your time and go through the tour options we currently have available. When something interests you, fill out the online form. We will make the booking on your behalf and confirm the departure time and price with you. For a brief description and prices of all these tours, please go to http://www.adventure-inn.com/tours and to book your tours in advance, at the bottom of each tour is a form you can fill out and submit and I will make all your arrangements and confirm them with you. If you don’t see the tour you were hoping for, let us know and we will do the research. SPECIAL: Book your room directly with Adventure Inn, take two or more one day tours from Adventure Inn and get an additional 10% discount off the same number of nights accommodation with us. 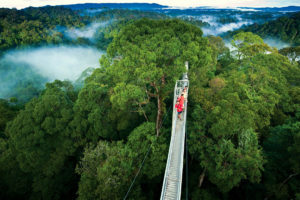 At a fraction of the price of many tour operators, Adventure Inn has taken the lead once again in answering a need for many visitors to Costa Rica. Leave the driving to someone else and do Costa Rica right the first time, avoid backtracking to maximize your vacation time while minimizing your costs. With years of experience, and contacts around the country, Adventure Inn has combined several of the most popular Costa Rican attractions and created three exciting wonderful low cost packages. Choose from the seven night Adrenalin Adventure package, the eight night Relaxing Nature package or the ten night Ocean to Ocean Dream package, but remember, these are just rough guides, you can add or subtract extra nights and tours. We’ll piece it all together and quote you the lowest price we can. Go to http://www.adventure-inn.com/packages for all the details.